I'm not a horrible mother; I'm just a horrible planner. Unfortunately, my deficit in the latter impacts my kids' meals, making me a mom who feeds her kids bad food too often. The truth is, on most days, my pantry looks like the packaged baby food aisle of Target. That doesn't mean my kids eat packaged food every day... but having a ready cache is a relief when I'm mentally outnumbered by my toddlers, ages 3 years and 18 months, respectively. Every morning, the kids have a healthy breakfast. Most days, I muster the energy and creativity to cook a healthy dinner for our family. But lunch is the hole in my swing. It sneaks up on me like a pop quiz. The level of detail I pour into lunch depends solely on the kids' moods, which range from homicidally cranky to blissfully sleepy. On those stressful, whining, screeching, sibling-shoving days, I reach for God's gift to tired mothers: Gerber. Charlie loves Gerber's shells and cheese. Mary Emma loves the cheese ravioli. I love that my whole family can be bribed with cheese. 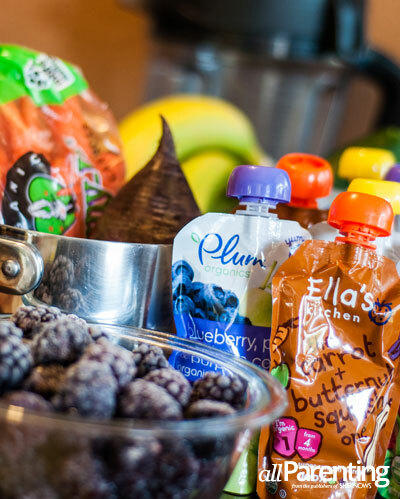 On the go, I always have fruit-and-veggie pouches from Ella's Kitchen or Plum Organics. I justify those by the helpful way they force my son to practice his lip pursing and sucking. Speech therapy for less than $2! American Heart Association recently reported nearly 75 percent of commercial pre-packaged meals and snacks for toddlers are high in sodium. Well, my packaged honeymoon ended when the American Heart Association recently reported nearly 75 percent of commercial pre-packaged meals and snacks for toddlers are high in sodium. "Our concern is the possible long-term health risks of introducing high levels of sodium in a child's diet, because high blood pressure… may develop early in life," explains Joyce Maalouf, lead author and Fellow at the National Center for Chronic Disease Prevention and Health Promotion at the Centers for Disease Control and Prevention in Atlanta, Georgia. "The less sodium in an infant's or toddler's diet, the less he or she may want it when older." It's not rocket science. But seeing the word "organic" on packaging decreased my guilt. Yes, I realize I sound like a lunatic. I was a baby-food marketer's dream! Gerber says it uses "an internationally recognized dietary standard for sodium for young children... Gerber baby and toddler products can easily be incorporated into a healthy diet that meets the recommendations of the American Heart Association and American Pediatric Association for daily sodium intake for children aged 1-3, which is <1,500 mg."
The company also announced ongoing efforts to reduce sodium content in its toddler meals. Acceptable is the fact that they get fed. That's a win in my book. Jennifer's sons are 6 and 8 years old, so packaged options were limited during their toddler years. "My guess is that if they were organic and had decent healthy stats on the package, I would have been open to trying them. Wish I had invented them!" Leigh Ann points to the sometimes-staggering cost of prepackaged and organic foods. "I'm cheap," she explains. "So I've always gone old school in making [kids'] meals. That doesn't mean we are 100 percent super healthy all the time, but at least if I made it, I know what's in it." Other moms get creative with the packaged food, using it as a sneaky supplement. 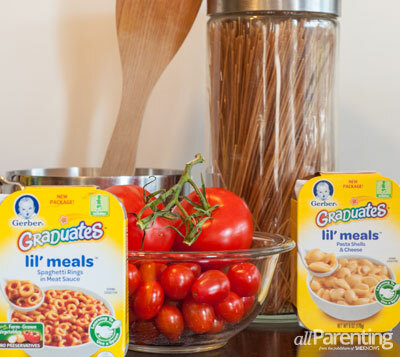 Leighkim's son doesn't like fruit, so she shares her secret: "I add the organic fruit pouches to everything I can." "When my son was 3 years old, his diet consisted of three very healthy entrees: Hot doggies, French toast and real cheese (grilled cheese)," Ann recalls. "I agonized over the fact that I couldn't get him to eat healthy foods and snacks and thought he couldn't possibly grow into a healthy adult." "Well, he will turn 30 this June, is 6' 1", works hard at his job and is a happy, well-adjusted, productive member of society." Good job, Mama! Now that is success!